This is the vastest lava area of the country. The individual lava fields date back to different ages, but all of them were created during the Holocene. 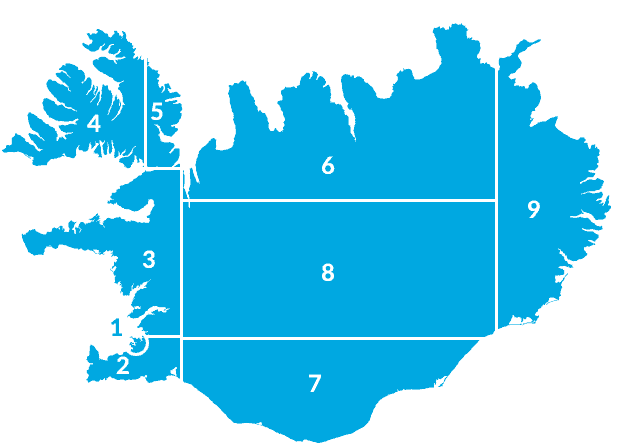 The total area of the Odadahraun is about 6000 km² and all of it is the property of the farm Reykjahlid on lake Myvatn. It is a part of the Icelandic Graben and is very volcanically active. The natural phenomena described under this title are either within or on the outskirts of the area. The area should only be accessed by 4wd vehicles or on foot. Hikers should be aware of the lack of surface water in the lava fields and bring along sufficient supplies of water. Hikers should also plan their daily progress conservatively and use maps rather than relying on their eyes, because the clear air draws all landmarks closer than they really are. There are very few vegetated oases in the area and the few huts are not situated, where a day’s hike is concluded every time. Therefore it is necessary to bring tents along. Ancient routes across this area have been discovered during the last few decades. The whole area lies in the rain shadow of the icecap Vatnajokull and the precipitation is minimal the whole year round. The mountain massif Dyngjufjoll, similiar in size as the volcano Oraefajokull, surrounds one of the largest calderas of the country with an approximate area of 50 square kilometres. Mt Oraefajokull still stands proudly as a cone shaped volcano of the same kind as Mt St Helens in the state of Washington in the USA, but Mts Dyngjufjoll have collapsed. Its highest point is Mt Thorvaldsfjall (1510 metres), rising to the south above Lake Askja, which was created after the 1875 eruption. A new hut for 30 persons was built at Drekagil in 2004. The 1968 hut accommodates 20. After the establishment of Europe’s largest national park, Vatnajokull, on June 7th, 2008, Drekagil in Dyngjufjoll became one of the centres for the NP wardens. This part of the Interior offers a great variety of possibilities for short or long hikes. In most cases it depends on the individual traveller to decide which hillock or mountain is the best vantage point, or how far to go into the wilderness. Long hikes require good planning, preparations, and physical fitness. The psychology has to be considered as well. Sometimes the vast, barren landscapes, and the solitude overwhelme hikers, who are travelling alone and do not meet a soul for days on end. The Odadahraun lava desert is very dry, which means, that hikers have to carry water supplies if they do not know where to look for sanded snow patches during summer. There are absolutely no streams in this vast and permeable area, only at its edges in all directions. Askja – Guided walk with a park ranger at 13.00 – A place of wonders and mystery. 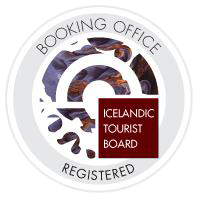 Experience the landscape of Askja, learn about mysterious events and volcanic activity. Departure from the car park in Askja and finish at crater Viti, duration approx 45 min. Off-road driving is strictly prohibited!